I’ve started mapping out this really great adventure from Dungeon Magazine (Issue 31). Its called “Telar in Norbia” (by Willie Walsh). 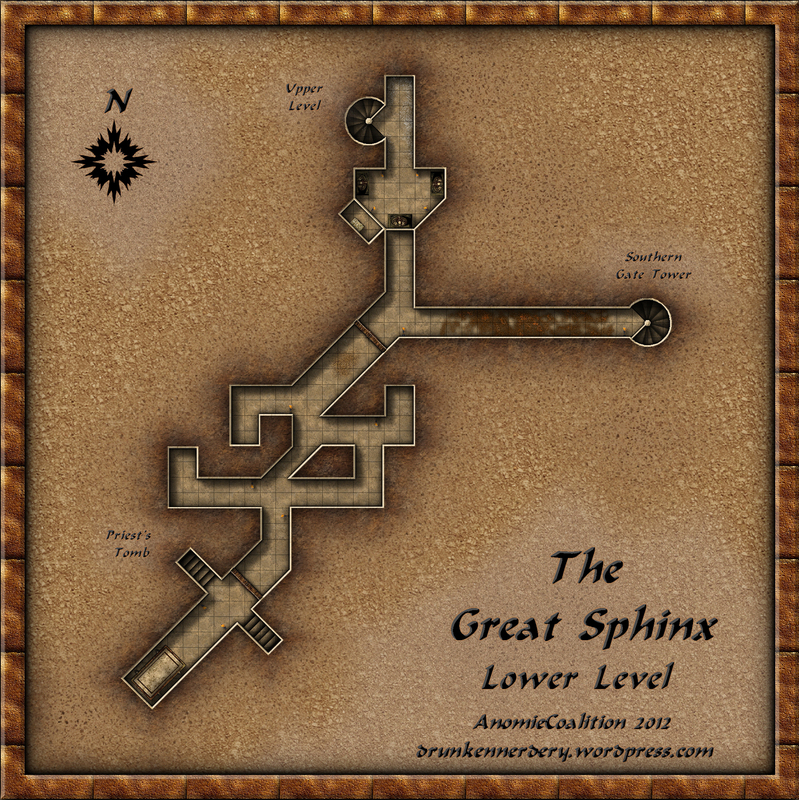 This map depicts the lower level of The Great Sphinx which sits in the middle of a recently unearthed abandoned city of Telar. Categories: Old-School D&D Maps | Tags: Al-Qadim, CC3 | Permalink.